On Sunday, June 3 I delivered the Samuel and Naomi Boltansky Memorial Address from the bimah of the Lloyd Street Synagogue as part of the Annual Meeting of the Jewish Museum of Maryland. I have to admit this would have been a special moment regardless of venue. After all, it’s not everyday that you take on a new job, or meet new neighbors or even get your kids back home for a special celebration. Delivering the keynote address from the Lloyd Street Synagogue bima. 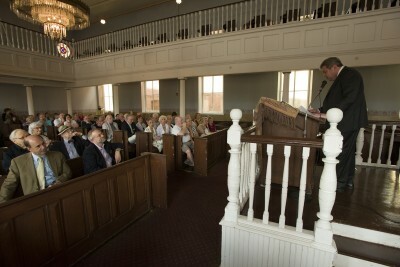 But making these remarks from the center of our 1845 sanctuary was truly awesome. My topic was “choice”, stimulated not only by my recent choice to come to Baltimore, but also by all the incredible, momentous choices that brought both the Lloyd Street Synagogue and the Jewish Museum of Maryland into existence. Standing on the bimah, I could not have been more conscious of the other voices that had filled this room in the last 170 years – not only the voices of rabbis, priests and scholars, but those of ordinary citizens, Jews and Gentiles, whose lives had been shaped by the friendships made and the hardships shared by those who sat in the pews – of Baltimore Hebrew Congregation, of St. John’s Catholic Church and of ShomreiMishmeres. I thought of the great debates over the role of women, slavery and abolition, and community solidarity that had played out within these walls…but also the conversations and gossip that alternately held together and split apart the congregants (I learned from the Synagogue Speaks exhibit, that in the Antebellum period, Baltimore Hebrew balanced its budget by fining congregants for talking during services – had this been in force in my youth, I’m afraid most of my relatives would have been driven to the poor house). 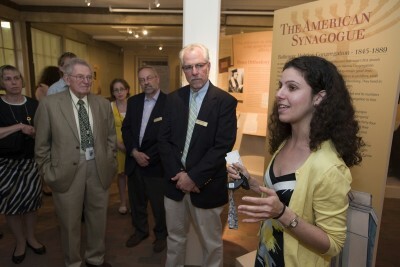 Program Manager Rachel Cylus gives a tour of the Lloyd Street Synagogue mikvah. The human drive to connect to real things and real places is palpable. It’s what draws millions of people to Civil War battlefields and produces a rather long line in front of the faded Declaration of Independence at the National Archives. We intuitively understand that the transmission of meaning across generations is dependent on places and things that connect us to a common ground bridging our past, present and future. “. . . a Nation must believe in three things. 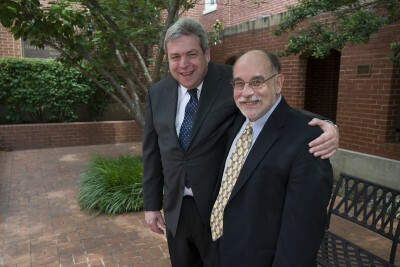 New and old executive directors, a meeting of the minds. 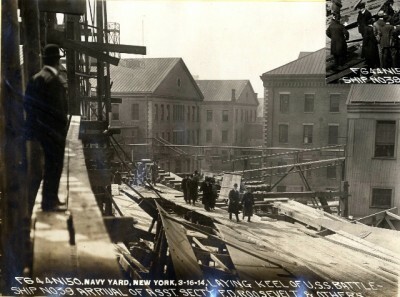 My hope is that the Lloyd Street Synagogue and the Jewish Museum of Maryland can help all of us use the connections to our past to help create a new future.